I’m honored to have been juried into the Salt Spring National Art Prize Finalist Exhibition. The exhibiiton runs September 21 – October 23, 2017. Closing Gala and Awards is being held at Mahon Hall on Saturday October 22. I am presenting a public artist talk is Friday October 13, 12-1:00 at Mahon Hall. 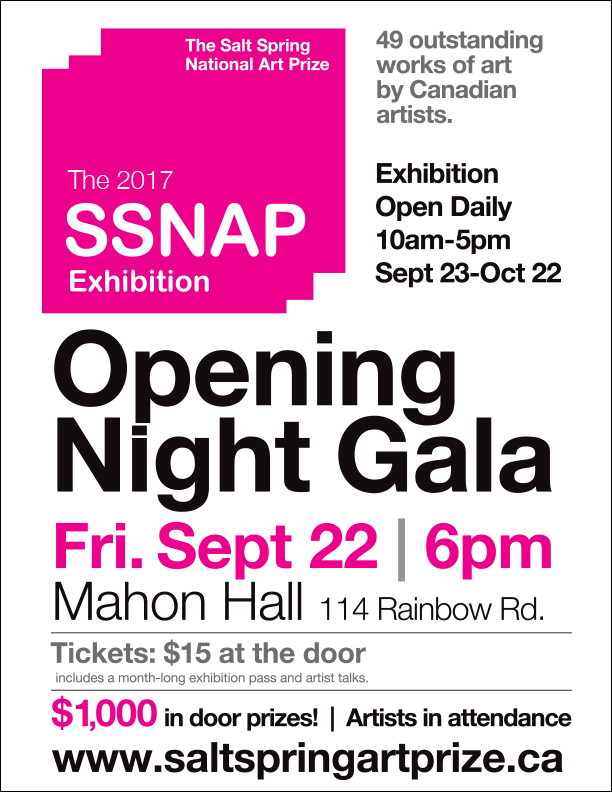 The exhibition is full of amazing art from artists across the country. Public artist talks, panel discussions run throughout the month.